As I mentioned in my Seattle 3-Day recap, I saw a lot of pink ink this year! I ran into Holly and Beverly at a rest stop on Day 1 (they were taking a break next to Cindy). I spotted Holly’s pink ribbon and cherry blossom tattoo first. Holly’s tattoo is in honor of her maternal grandmother, who lost her fight with breast cancer before Holly ever got to meet her. Project Tattoo Studio in Mountlake Terrace, Washington did a great job with this one – I love the shading and detail around the edge of the ribbon! 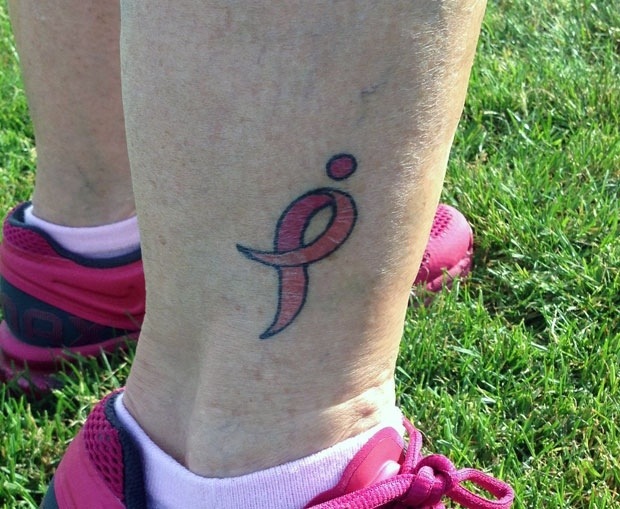 Holly was walking her fourth 3-Day with her aunt Beverly, who also has a tattoo! Beverly came all the way from Kentucky to walk her third 3-Day with Holly. This Komen running ribbon is in memory of her mother, Holly’s grandmother. 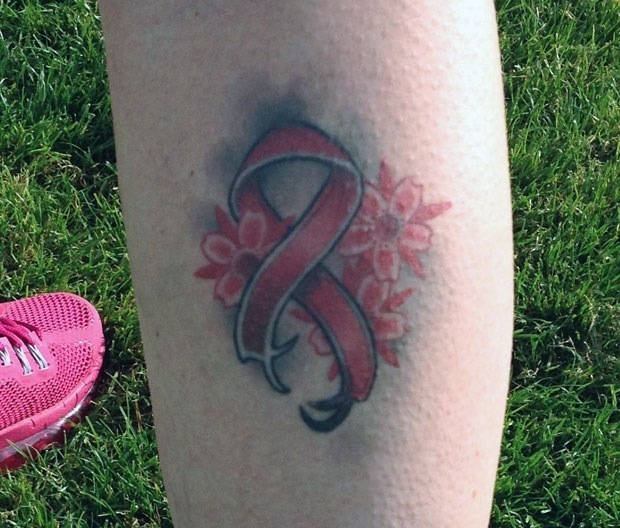 Beverly was 68 years young when she got her tattoo… it just goes to show you, you’re never too old for pink ink!